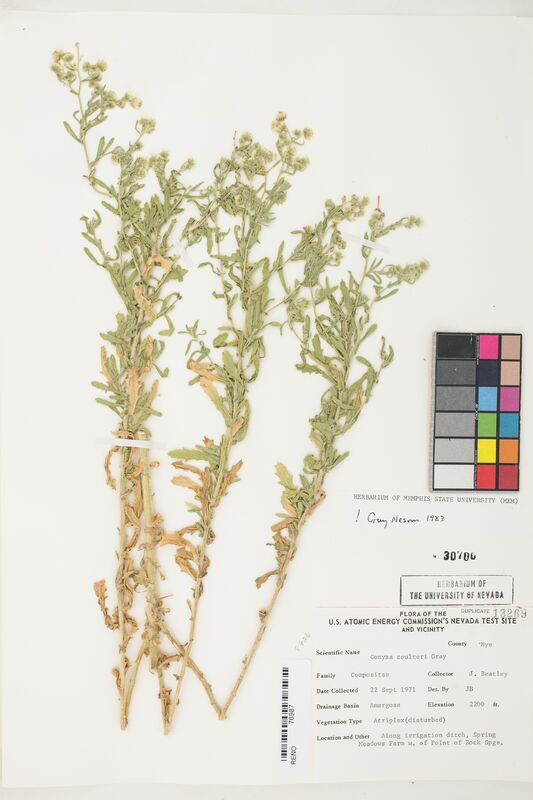 Locality: USA, Nevada, Nye, [Ash Meadows,] Spring Meadows Farm, W of Point of Rock Springs, Amargosa drainage basin. 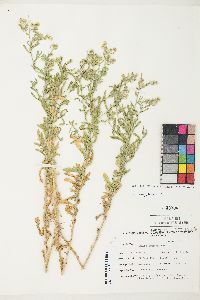 Habitat: Along irrigation ditch; Atriplex vegetation type (disturbed). Notes: Annotation, G. Nesom 1983: !